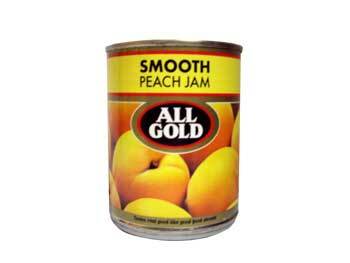 Picked at their prime, only the finest cling peaches are used to make this All Gold jam. Gently puréed to make a spread that is as smooth as silk. Glucose, Peach Pulp (35%), Cane Sugar, Pectin (E440), Food Acid (E330).